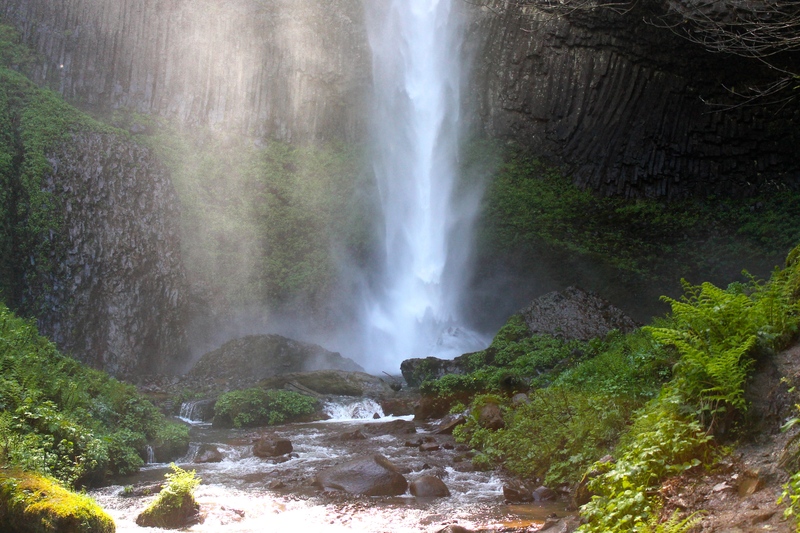 A waterfall…. magnificent and memorable …. 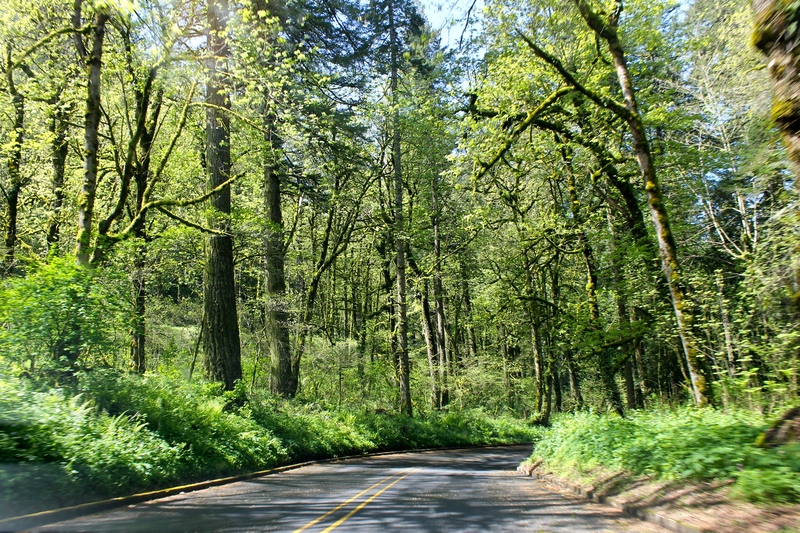 is located just a 30- minute drive outside of Portland. 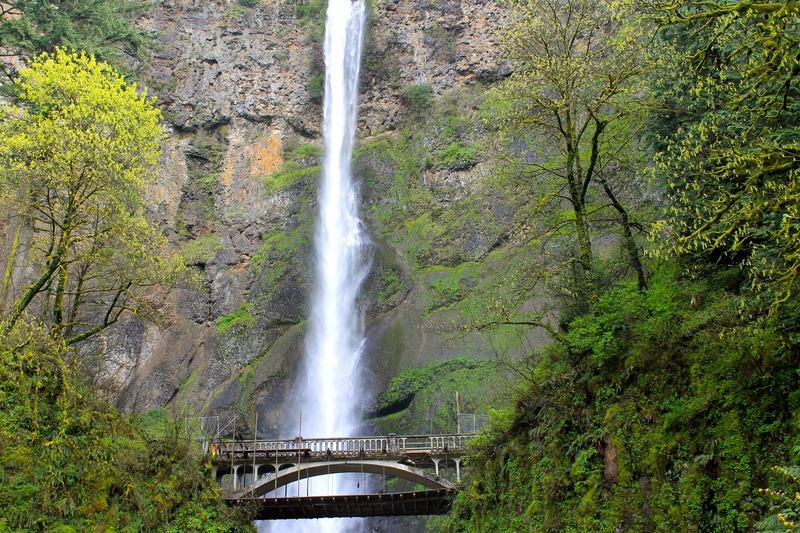 Visiting Multnomah Falls, a 611-foot-tall roaring, awe-inspiring cascade of icy water, lets you experience the power and beauty of nature up close and with ease. 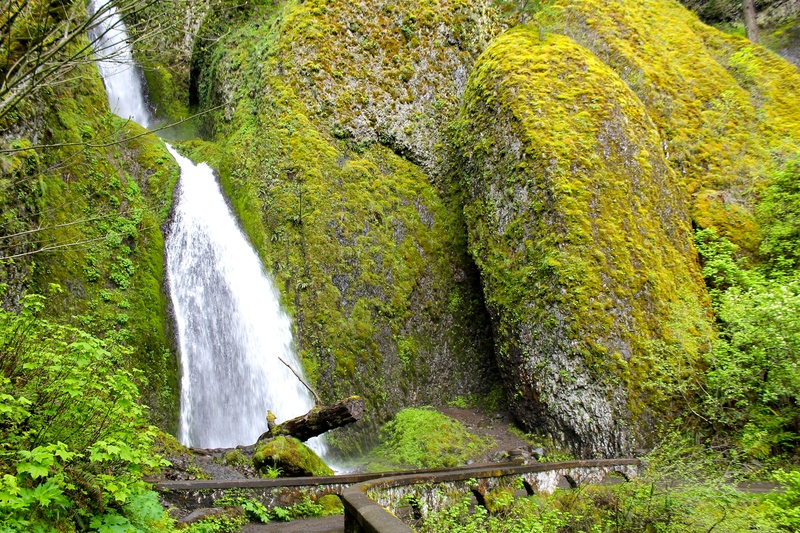 Ladies and gentlemen, we’d like to invite you into the natural world of Multnomah Falls, a real gem in the state of Oregon. 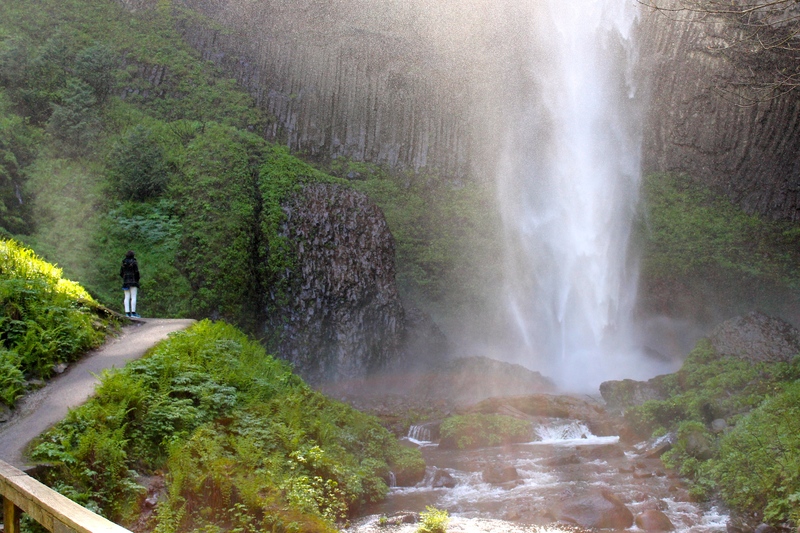 We borrowed their car for the day and made the 60 minute trip to the falls. It’s very easy and well signed along the way. The drive is beautiful. 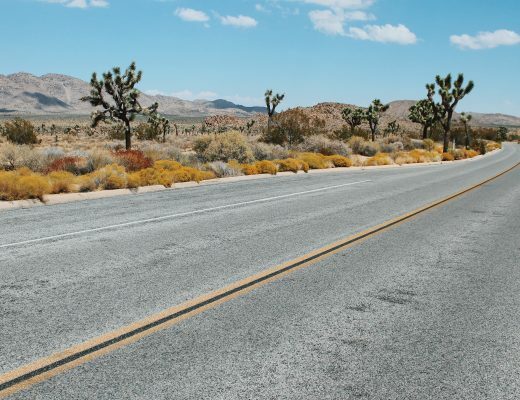 Not only can you make several pit stops and see some of the most stunning nature which this country has to offer but the quality of the air is unparalleled. 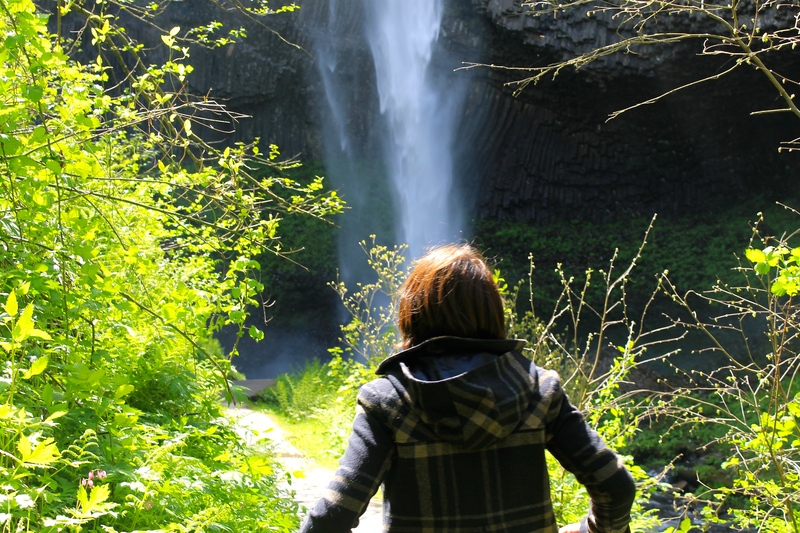 I took so many deep breaths – it was like an elixir to my lungs. 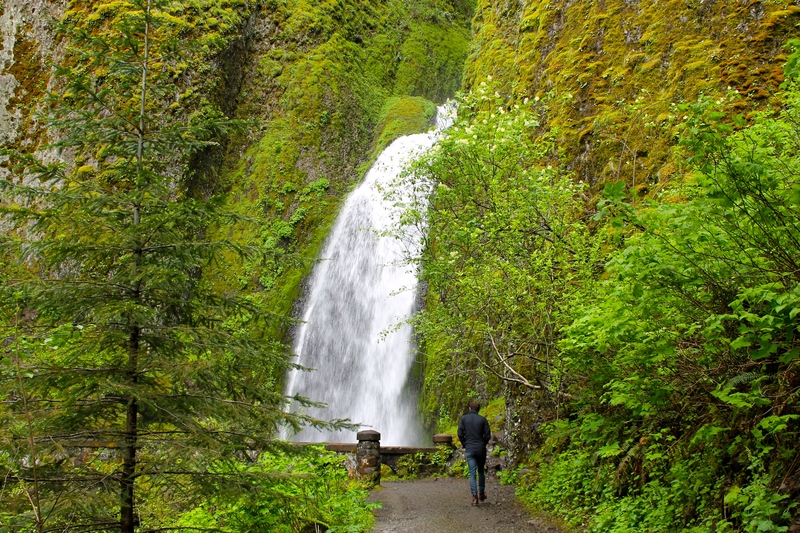 The very soft, velvety feel of the Oregon rain was a real delight too – it certainly didn’t put us off going. There were three sets of waterfalls which we visited in this region. 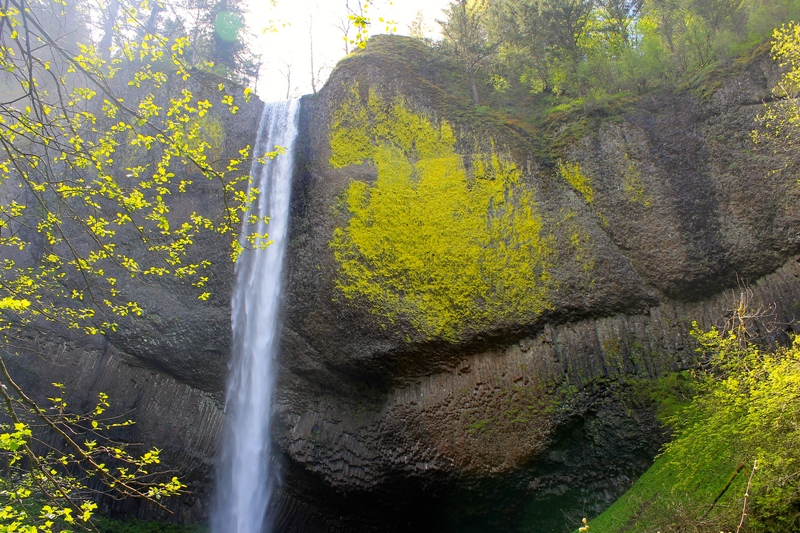 My advice would be to approach the first “Latourell Falls” by car. 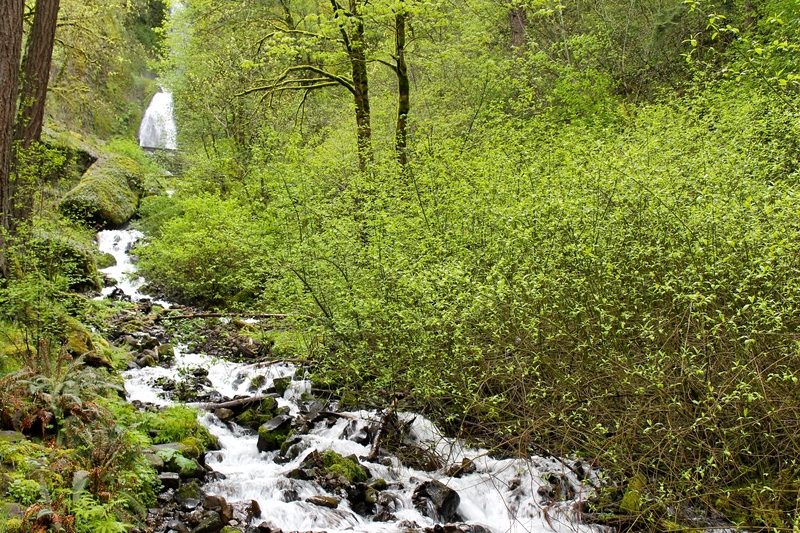 There’s such a beautiful hike to the first set of waterfalls, it’s definitely worth it. 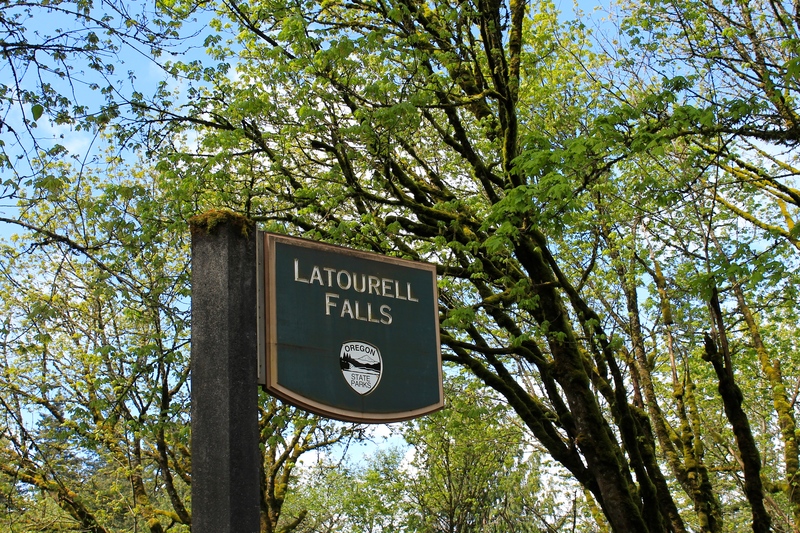 From Latourell we hopped back in the car and drove to the second set of waterfalls, Wahkeena Falls. 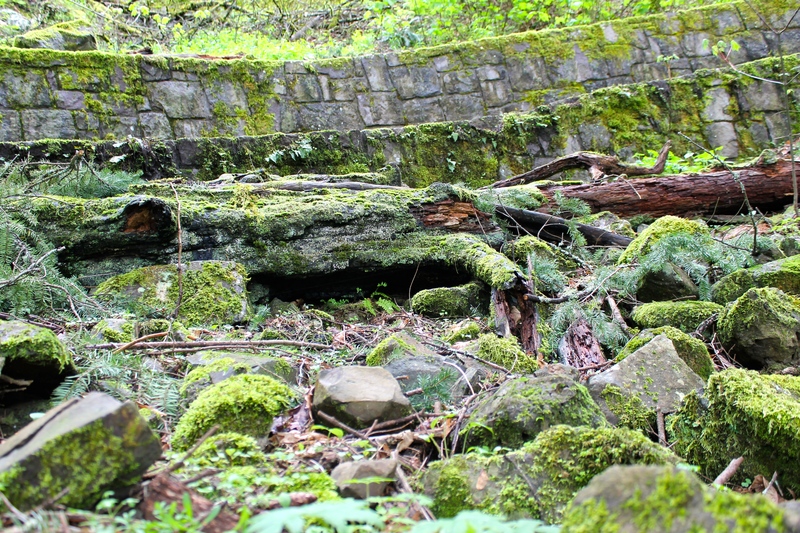 Another spectacular forest – full of moss covered vegetation. It was the sort of place you’d expect to see fairies actually. 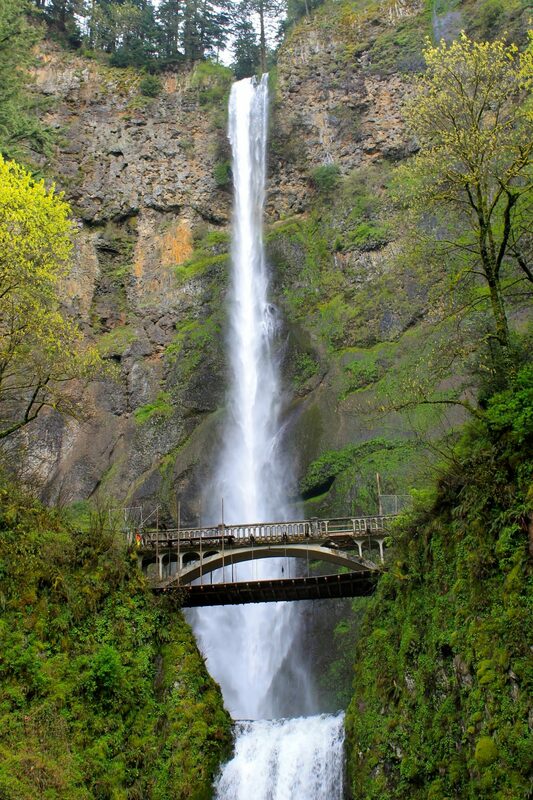 From Wahkeena, we walked all the way to Multnomah Falls. It was an easy walk, around 25 minutes. 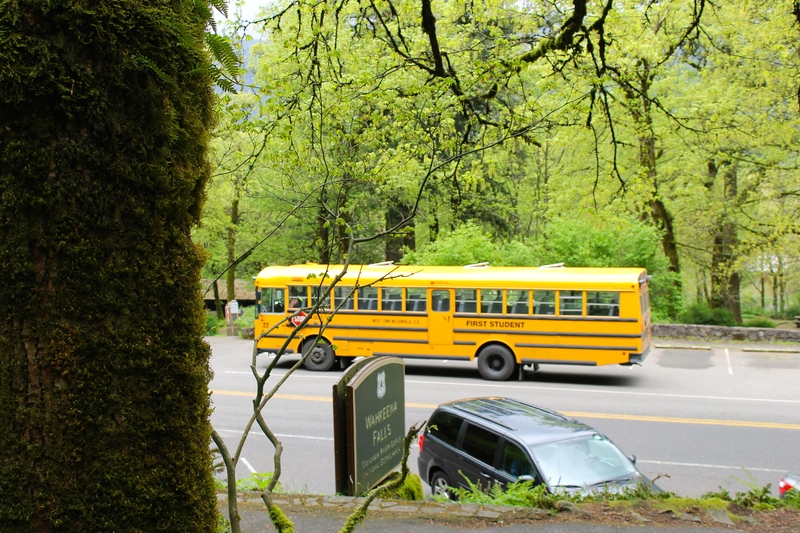 We also stopped for lunch at the Multnomah Falls Lodge – I remember the prices were reasonable given it was a tourist attraction and the food tasted great. There’s that classic Oregon quality for you. So have a look at the pictures below – as you can see, it’s a green wonderland. I had no idea green could come in so many different shades. How glorious! I have had this as the background on my computer for quite some time. So can you! 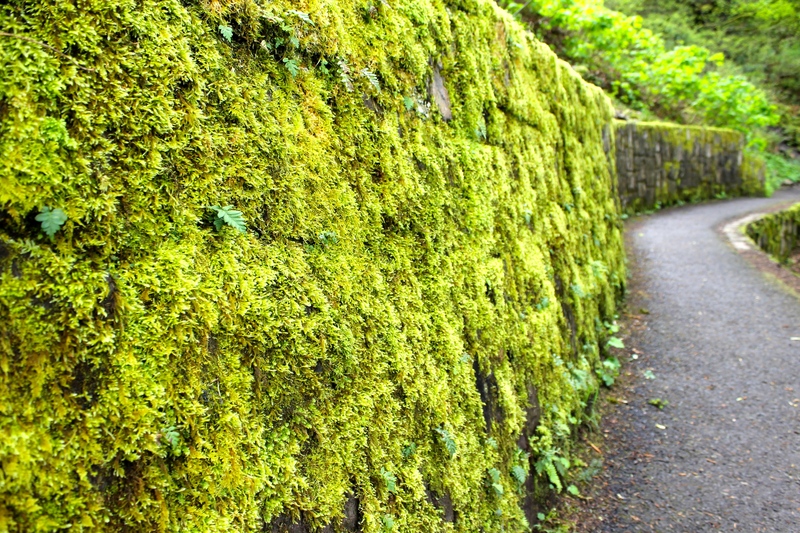 Everything is beautifully covered in moss. Like another planet. So beautiful. 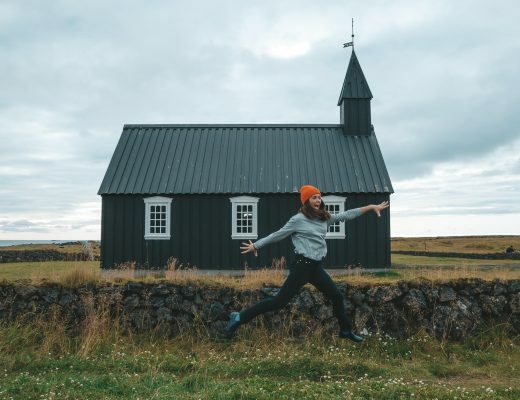 So natural – this place is really worth the trip. There are a few waterfalls you can visit in the district. Water cascading down, while sunlight pours down onto the water. Magic! Gorgeous, fresh water is spewing out of every corner. Enjoying being here without tourists! I loved looking up and seeing green moss just growing everywhere. Great spot, isn’t it. You might enjoy a three part series I did on the gorge, starting here. How did you escape the tourists? I don’t recall seeing too many tourists at all!!! I think I was there in April – was this like a quiet time? I’m definitely going to check out your link – thanks Dave!